Just in time for Fathers Day, and featuring the photography of Michael Furman, considered the world’s preeminent photographer of classic cars, Curves of Steel, one of the most celebrated and anticipated fine art automobile books of the decade, is now available for the first time as a trade book, published by Coachbuilt Press and distributed in North America by W.W. Norton & Co. 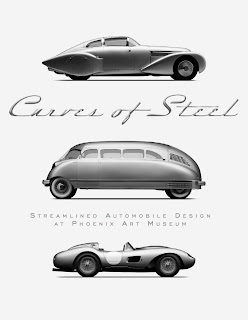 It was originally created as a limited run, hardcover deluxe “catalog” for the highly acclaimed 2007 “Curves of Steel” exhibition at the Phoenix Art Museum and until now, the sold-out initial run of Curves of Steel was only available at the museum store and online at the Coachbuilt Press website. The museum exhibition was widely celebrated in the media, from Architectural Digest to The New York Times to CBS Sunday Morning. Curves of Steel @ Amazon.com . You can also order copies signed by Michael Furman @ www.coachbuiltpress.com.